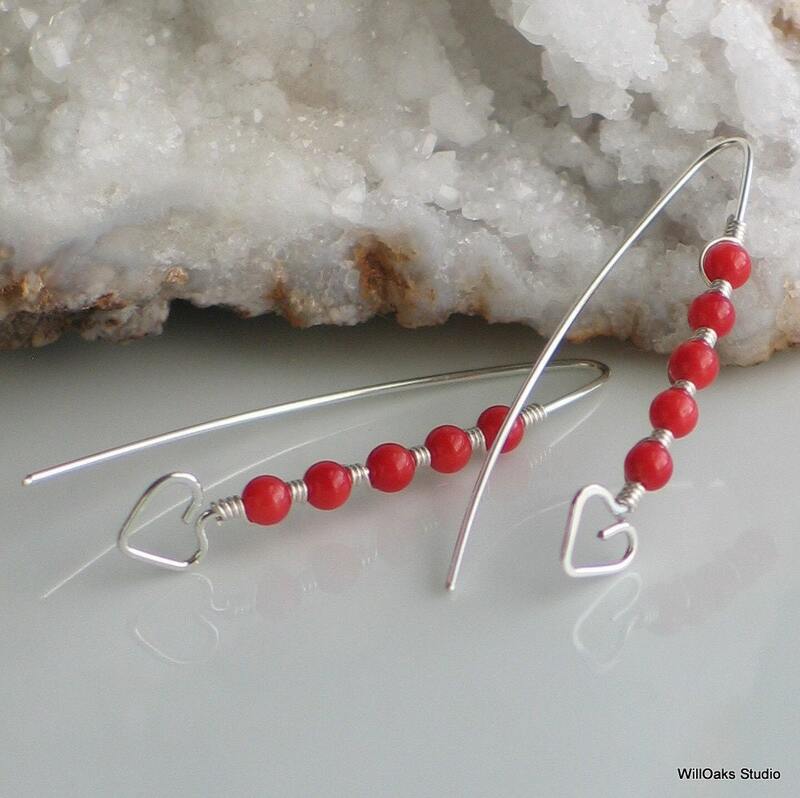 Pulsing like a heart beat, small red coral beads march down my hand formed sterling earrings. 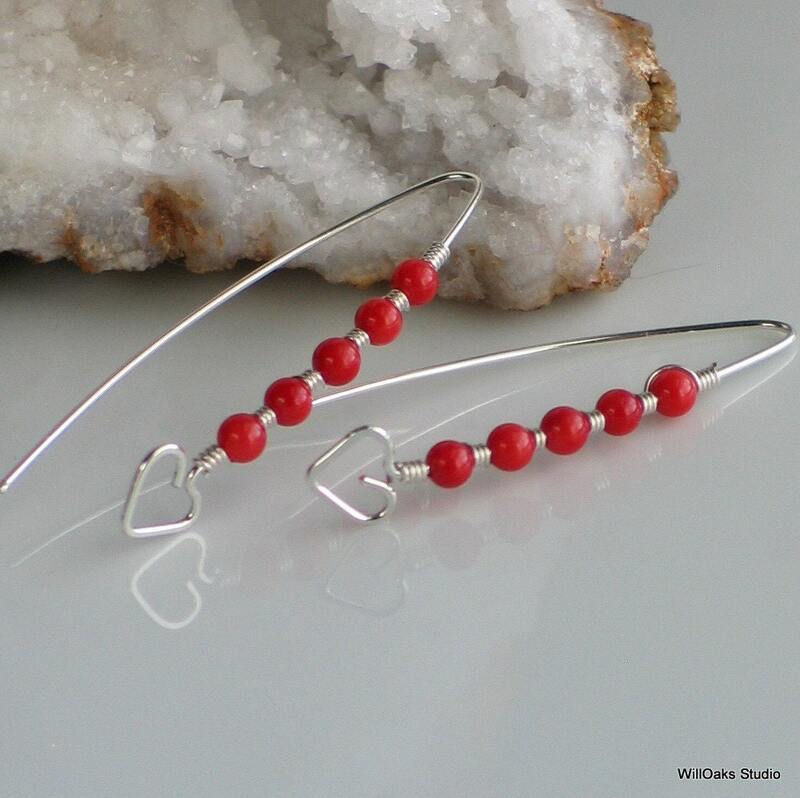 A small, hand-shaped heart, charmingly free-form, creates the bottom of the gently curved earring dangle. 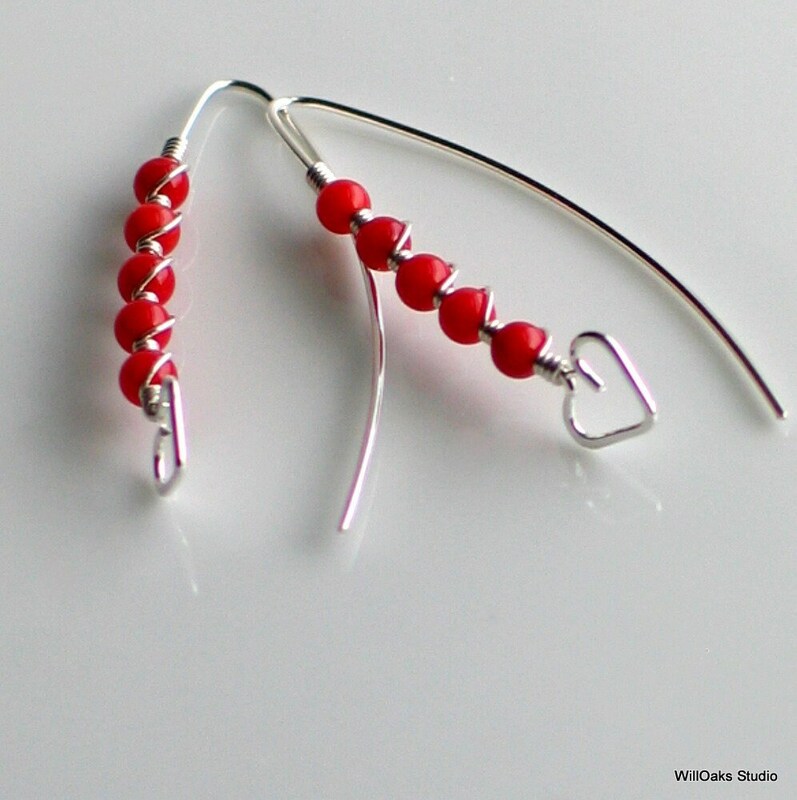 Tightly bound with sterling wire, at the top, the bottom and between each red coral bead. 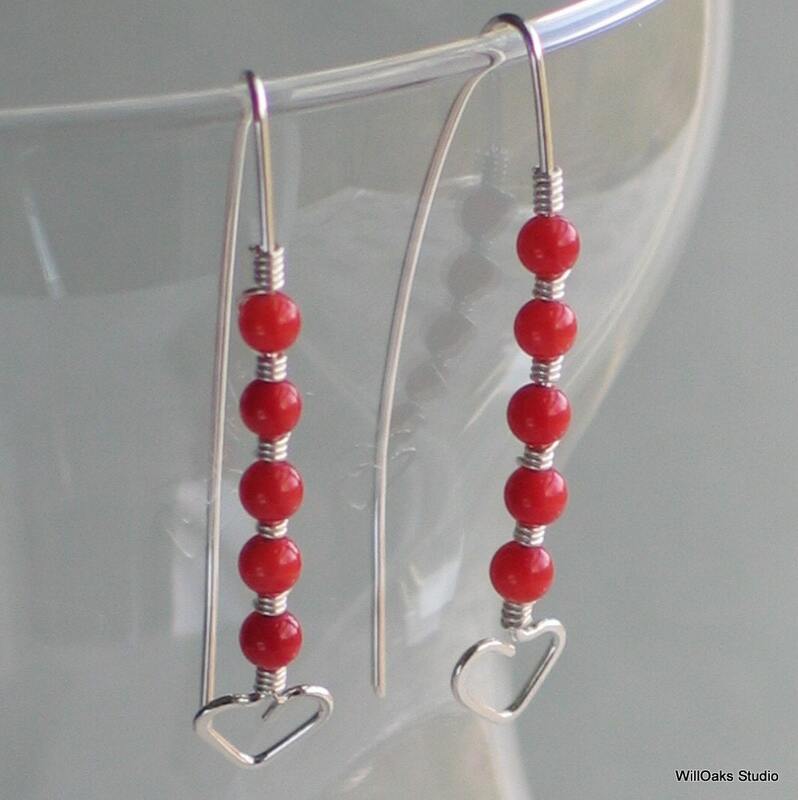 Dyed coral is a bright red which is a gorgeous contrast with shiny polished silver. Clear silicone ear wire guards are included to slip on the back wire. 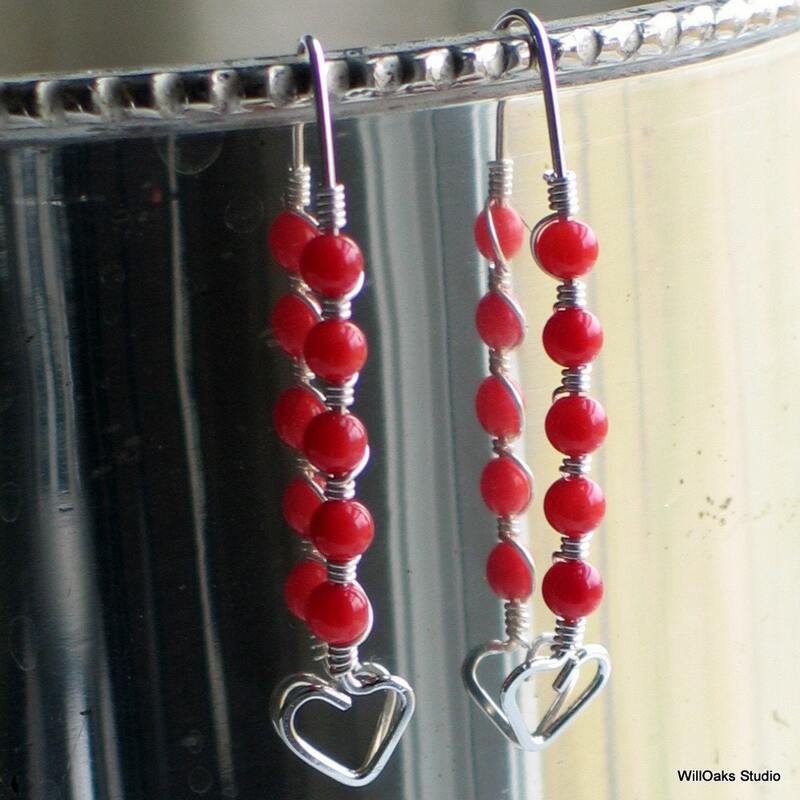 The earrings measure just around 1 1/2" from top to bottom and the coral beads are 3mm round. WillOaks Studio earrings are carefully packed in signature boxes, ready to give or to keep.